An article about Kalsi Engineering in the May 8, 2016 issue of the Houston Chronicle - Kalsi Engineering, Inc.
Kalsi Engineering was featured in an article in the business section of the Houston Chronicle on Sunday, May 8, 2016. The article describes the conservative business strategy the privately owned company has followed since its founding in 1978—a strategy that has allowed the company to survive the calamitous boom and bust business cycle of the oil patch. Several of the factors that have contributed to the long-term success of the company are avoiding debt, owning its own facilities instead of renting, maintaining cash reserves, providing products and services to two different energy industries (nuclear and oilfield), a commitment to retain experienced employees through good times and bad, taking advantage of the consulting engineering opportunities that arise when other companies turn to outsourcing, and using retained earnings to provide the funding necessary to continually improve the company’s own products, which include rotary seals and software. The article provides background information on the founder of the company, M. S. Kalsi, who moved to the United States from India in 1967, and earned his masters degree and Ph.D. from the University of Houston. The article also describes some of the early history of the company. 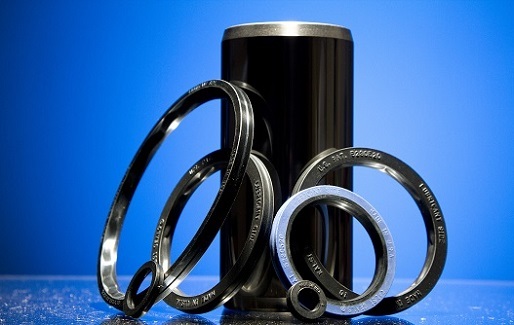 One of the products of Kalsi Engineering is a rotary seal product line that is used in various types of oilfield equipment, such as mud motors, rotary steerable tools, and rotary control devices (RCDs). Kalsi Engineering licenses the industry-leading KVAP Software to the nuclear industry for determining functional and structural health of MOVs and AOVs. We also provide engineering support to meet critical deadlines. Kalsi Engineering also provides mechanical consulting engineering services. 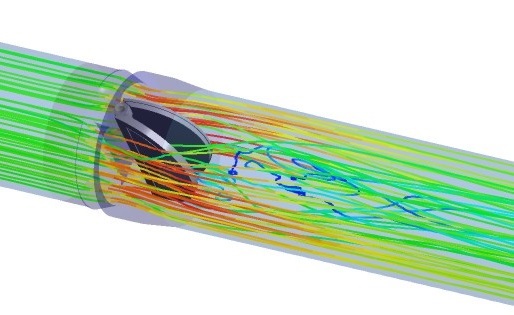 Here, the predicted flow field of a double-disc check valve is illustrated using velocity streamlines obtained using advanced computational fluid dynamics software. The model was used to predict flow-induced torque versus disc position and flow rate.